This guest blog was written by Nicole Badstuber, Researcher in Urban Transport Governance at the Centre for Transport Studies, UCL. For the first time since 2008, the number of people using the world-famous London Underground – locally known as “the tube” – has fallen. After over two decades of long-term growth, passenger numbers are down 2%, from 1.38 billion in the financial year 2016-17, to 1.35 billion in 2017-18. Bus use also peaked in 2014, and has been falling steadily each year. Simply put, fewer people in London are using public transport – and this means fewer ticket sales. This has created a funding gap that puts plans for improvements and upgrades in serious jeopardy. Since the national government cut its £700m a year grant, London’s transport agency, Transport for London (TfL), has been banking on ticket sales to fund the capital’s transport system. But this year, TfL has had to revise its income from tickets sales down by £240m. This spells trouble for the agency, which plans for ticket sales to generate up to £6.2 billion, or 62%, of the £10.2 billion budget for 2022-23 – a step increase from today’s £4.6 billion, or 45% of this year’s budget. Since London Mayor Sadiq Khan is committed to freezing single fares, additional growth will need to come from more passengers. This is, in some ways, a reasonable expectation: population and employment – the key drivers of transport demand – are still growing in London. TfL points towards economic factors, including the uncertainty of Brexit, to explain the downturn in demand for public transport. But this year’s lower passenger numbers point instead towards lifestyle changes, which are affecting when and how people choose to travel. Travel surveys show that the average Londoner made only 2.2 trips (across all transport modes) a day in 2016-17, down 20% from 2006-7. So despite population growth, transport demand has not risen as much as expected. This decline is mirrored across England: between 2002 and 2016 a 9% drop in trips across all modes was recorded. Flexible and remote working practices are contributing to this trend: instead of commuting to work five days, the new normal for Londoners is now four. Over the past decade, commuting trips have dropped by 14.2%. At the same time, the cost of travel has been increasing. While single fares on the bus and the tube cost approximately the same in real terms between 2000 and 2012, they have increased 5% and 3% respectively since then. The cost of season tickets is up even more; 8% on the bus and 6% on the London Underground in real terms since 2012. Greater transport costs mean less disposable income, which partially explains why Londoners are making fewer leisure and shopping trips, instead opting to stay home and shop online. Meanwhile, London’s changing mix of traffic suggests that personal trips are being substituted with deliveries. This shifts the burden from the public transport network to the road network. Across London, light goods vans are making up a growing proportion of traffic: accounting for 14% of traffic in 2016, up from 10% in 1993 and 11% in 2000. To avoid a major shortfall, TfL will need to look at new ways to fund transport. One solution might be to reform London’s congestion charge. Currently, the congestion charge covers less than 1.5% of the city, applies only between 7am and 6pm, consists of a simple, daily flat rate, and exempts private hire vehicles – your Uber drivers and minicabs. Over the past four years, there has been a 75% increase in the number of registered private hire vehicles. On Friday and Saturday nights, 18,000 cars flood the streets of Central London. With New York City set to introduce a surcharge for taxis and private hire vehicles (US$2.50 and US$2.75 respectively), London might also want to follow suit. A more comprehensive road pricing strategy would be an effective tool to manage traffic and generate funds for the transport system. A reformed congestion charge alongside good public transport, cycling infrastructure and public space could encourage Londoners to shift away from their cars toward travelling by public transport, walking and cycling. TfL predicts that most of its revenue growth – £3.2 billion over the next five years – will come from the new Elizabeth Line, which is set to start running in December 2018. By 2022-23, TfL expects passenger numbers on the Elizabeth Line to increase by 200m to 269m, and tickets sales to earn £913m. Over the same period, passenger numbers on the London Underground and bus network are forecast to rise by just 5% and 3% respectively. The income from the Elizabeth Line is crucial to TfL balancing its books. As outgoing deputy mayor for transport, Val Shawcross, warned, delays to the Elizabeth Line opening on time are TfL’s greatest revenue risk. So as engineering challenges threaten to push back the opening date, TfL’s money worries look set to worsen. TfL is also seeking to earn from developments on some of the 300 acres of land it owns in the city. 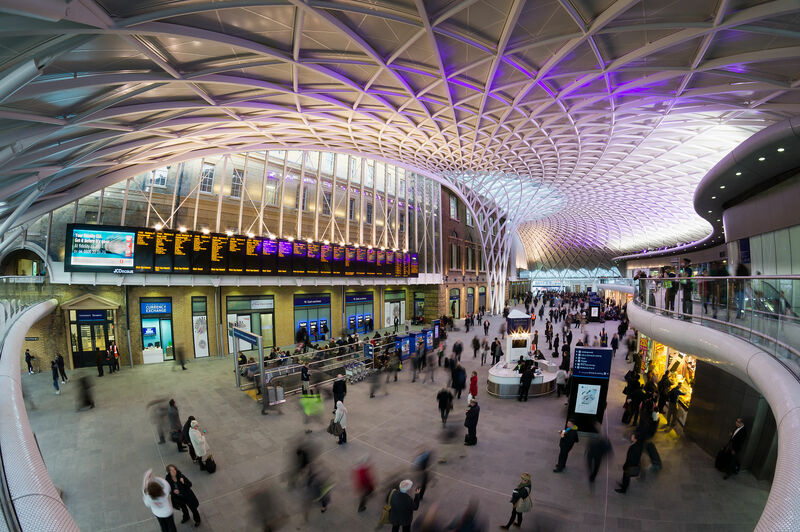 By 2022-23, the property partnerships agreed between TfL and thirteen large property development companies in 2016 are set to generate £3.4 billion of income to reinvest into London’s transport system. London Mayor Sadiq Khan is pushing for further sites to be unlocked, to generate more funds and meet his manifesto commitment to build more affordable homes for Londoners. Khan’s manifesto pledge to freeze single fare tickets throughout his term is estimated to cost £640m. Arguably, reneging on that promise could return £640m to TfL’s purse. TfL points to national rail services where fares are higher and the reduction in passenger numbers has been greater, and argue that the fare freeze blunted the drop in passenger numbers. If TfL fails to find new ways to fund its network, more cuts to upgrade and capital programmes are only a matter of time. The agency has already cut its funding for streets, cycling and public spaces in London’s boroughs, and suspended its roads renewal programme and underground capacity upgrades. TfL’s reliance on ticket sales to fund the capital’s transport system makes it very vulnerable to unexpected changes in demand. To ensure London continues to have a world-class transport system, both Khan and TfL must urgently find new sources of funding.